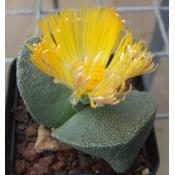 Conophytum Seed Update due MAY 2019. Please note - all orders placed after 5pm Wednesday the 10th and before 5pm Wednesday 24th of April will posted on Monday April 29th. 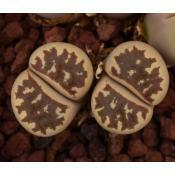 On this site you will find enough information to show you that Lithops are neither too difficult to grow or too expensive to try. Check out our catalogue pages to see what is currently available. Don't forget to see our 'Specials!' listing, you might be surprised! If you are looking for any information, please have a look at the "Information" panel on the left hand side before emailing us with questions, thank you. 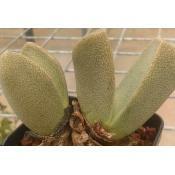 Our plants are available to Australian customers only. Please ensure you are aware of any quarantine restrictions applicable to your State or Country as we cannot provide any certification. Thank You. We accept payment via PayPal for ALL orders.